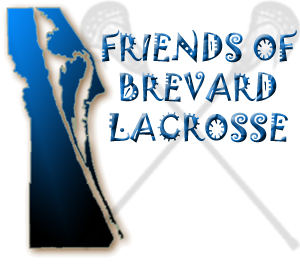 A coalition of parent representatives from Eau Gallie, Merritt Island, Satellite, Viera and West Shore High School’s have formed Friends of Brevard Lacrosse (FBL). FBL is a 501c3 non-profit organization which was established in 2010. FBL’s mission is to raise awareness, funds, and interest to support the ongoing development of the sport of lacrosse in the Brevard County Public High Schools. There are over 1000 boys and girls playing lacrosse in Brevard county of which over 400 are in high school. FBL’s goal is to ensure that current and future boys and girls have the opportunity to play high school lacrosse under the auspices of the FHSAA.